Ahhh so that’s what’s it’s called… The weaving of rags. Did you use a loom or a weaving frame? 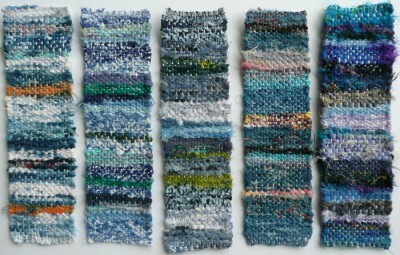 Gorgeous weaving. They all look like little landscapes. 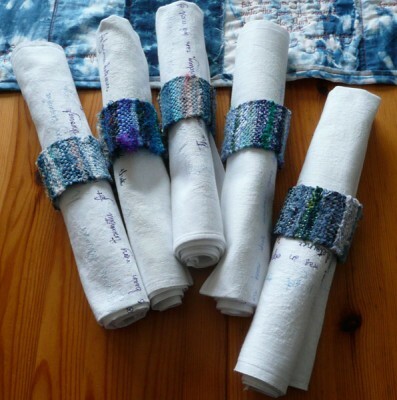 Love the idea of connecting worn out fabrics. 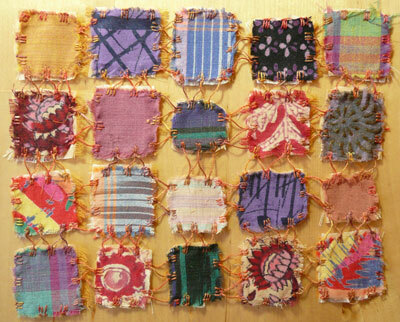 It’s like linking memories together I suppose.Nice idea.Enjoy your feltmaking day.